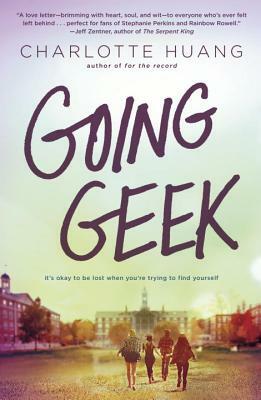 A girl returns to her exclusive east coast boarding school and finds that she's no longer one of the cool kids on campus in this second novel from the author of﻿ F﻿o﻿r﻿ ﻿t﻿h﻿e﻿ ﻿﻿R﻿e﻿c﻿o﻿r﻿d﻿. But it’s far from it. To her dismay, Skylar’s not going to rule senior year because she’s stuck in Abbot House, a tiny dorm known for, well, nothing. Living with a group of strangers everyone thinks is lame is bad enough. Worse is that Skylar wasn’t exactly truthful about how she spent summer break in Los Angeles—and her little white lie is causing her once rock-solid romance to crumble fast. And when it turns out that Skylar’s best friend is the one responsible for having her booted from Lincoln? It’s an all-out war. Stepping out of her comfort zone never felt so scary—or necessary. ﻿﻿But everything is different now. Including, maybe, Skylar herself . . .
CHARLOTTE HUANG is the author of For the Record. She grew up in the Boston area and was a day student at a prestigious boarding school, where she didn't quite hit her stride but made great friends and got good at writing ten-page papers in one night. She lives in Los Angeles with her husband and two sons. Follow Charlotte on Instagram & @charlottexhuang on Twitter.